MAYUMANA is the most important percussion, rhythm and dance group in the world. 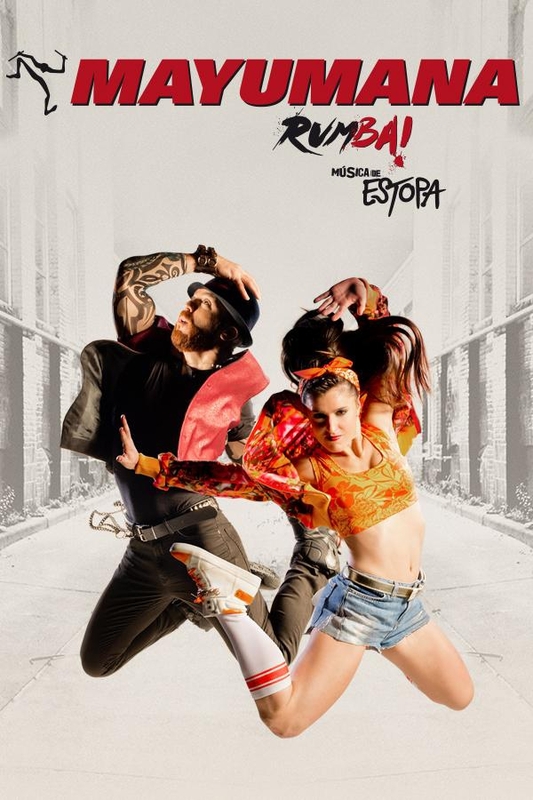 In his new show, RUMBA has chosen the music of ESTOPA as a soundtrack and narrative thread. After the success of his season at the Rialto Theater on the Gran Vía in Madrid, applauded by more than 100,000 spectators, MAYUMANA starts the 'Rumba!' Tour in which he will tour more than 30 cities. MAYUMANA's shows have been applauded by more than 8 million spectators. In his new show, 'Rumba! ', He has chosen the music of ESTOPA as a soundtrack and narrative thread to offer an overflowing show, played by an extraordinary cast of artists who sing, dance and play all the instruments generating the rhythmic and visual miracle that distinguishes all the shows of MAYUMANA. 'Rumba!' Is a co-production of MAYUMANA and SOM Produce. SOM Produce is the leading producer of great musical shows such as PRISCILLA, CABARET or BILLY ELLIOT.